Wiht this combo you'll have a sunny little reminder that peppermint isn't just for Christmas! 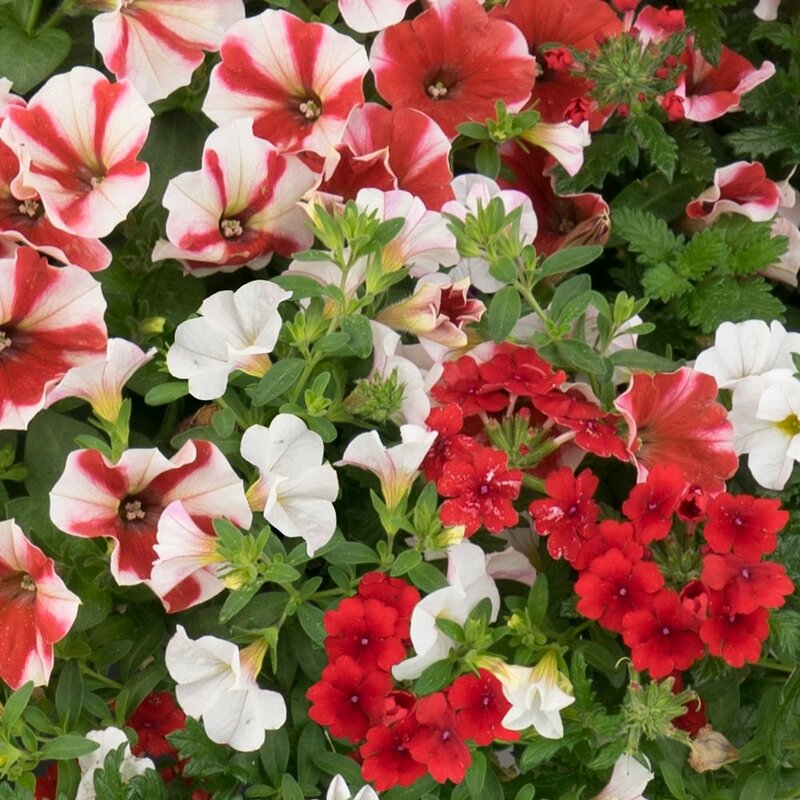 Bringing together the tiny little petunia-like blooms of calibrachoa, petunias and verbena, simply choose your container and watch the show! All our 'Confetti Garden Peppermint Candy' Flower Combo Plants are grown and shipped in fine quality growing medium. They are guaranteed to arrive alive and ready to plant. Comment: Plants are beautiful and very well packed. I will be back for more. Highly recommend this company. Comment: The order arrived well packaged and moist. They have been transplanted for a week and are doing great. I'm looking forward for them to mature and fill the basket.